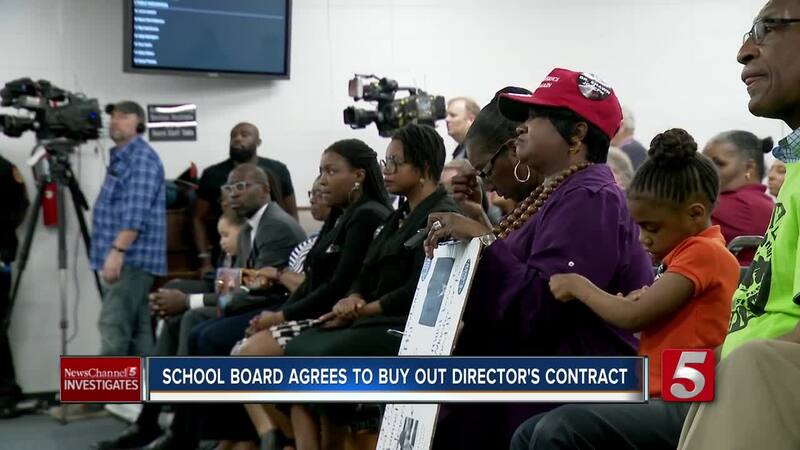 NASHVILLE, Tenn. (WTVF) — The Metro School Board voted Tuesday to buy out Dr. Shawn Joseph's contract as director of schools, ending months of controversy surrounding the embattled director. The final vote was 5-3 in favor of the severance. Board members Sharon Gentry, Rachael Anne Elrod, Christiane Buggs, Will Pinkston, and Gini Pupo-Walker voted for the buyout. Jill Speering, Amy Frogge, and Fran Bush voted against the deal. Anna Shepherd was out sick. Joseph did not attend the meeting. 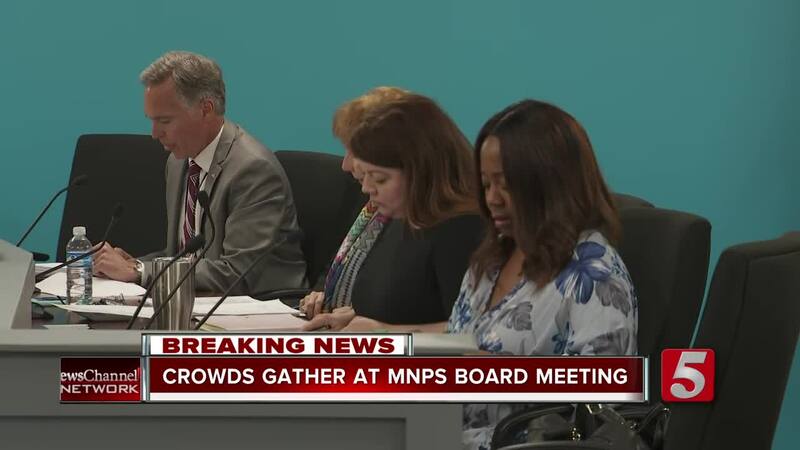 Joseph, the first African-American director for Metro Nashville Public Schools, began working in the district in July 2016 after signing a four-year contract that ran into 2020. Under the agreement, Joseph would have no duties with the board after April 12, other than to support the interim director up to July 31, 2019. The buyout would have Joseph earn his normal salary through July 31st, in addition to being paid for any accumulated vacation time and potentially sick time. He would then be cut a check for $261,250. The board would also pay for up to $10,000 in attorney fees for Joseph in the defense of his license by the Tennessee State Board of Education. The state board has proposed a one-year suspension for failing to report teacher misconduct cases. Under the agreement, both Joseph and the board agree to a mutual non-disparagement provision, and neither party may bring lawsuits against the other. A NewsChannel 5 analysis estimates the total cost of Joseph's buyout to be at least $350,000. "Dr. Joseph is ready to go and leave what amounts to hostile working conditions," said board member Will Pinkston, who has staunchly defended Joseph. "So this is a voluntary separation conversation. This is not a firing, so to speak. Otherwise, I wouldn't vote for it." For months, Joseph has faced a sexual harassment scandal, which has already cost the district $350,000 in settlements -- with more expected. Our NewsChannel 5 investigation also uncovered questions about no-bid contracts, including a million and a half dollars for software the district never really used. And Metro Schools' own law firm recently warned the district faces a morale crisis under Joseph's leadership. 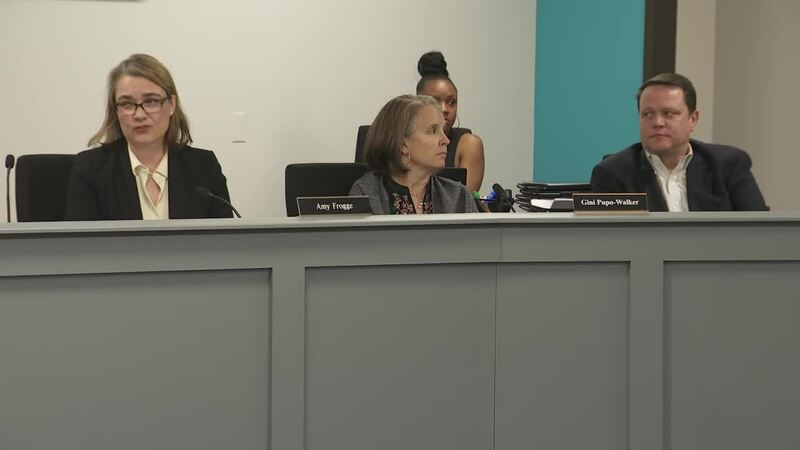 "Under these circumstances, I think it would be wrong to pay the director more money," said school board member Amy Frogge. Frogge, a vocal critic of the director, argued that the board had more than enough reason to terminate Joseph's contract -- without pay. Christiane Buggs said the board only had itself to blame. "I don't personally believe that throwing out any number of allegations or accusations is holding the director accountable.," Buggs said. "We did not hold the director accountable because we did not do our part." Another Joseph critic, Fran Bush, lashed out at black leaders who defended Joseph by accusing his critics of being racists. Bush, who is African-American, said she has been attacked by her own community. "I don't care how many more sticks and stones you throw at me -- I understand that this has been a race war in this city," Bush said. "It's not about the color of their skin, I've always taught my boys. It's about the content of their character. And Dr. Joseph did not realize that he had every ability to come into this district and do very well. And he failed to do that. "And you can laugh, you can chuckle. It does not bother me. I told you my skin is a lot thicker now because I'm doing the right thing by these children and by the teachers." Dr. Adrienne Battle was named the Interim Director of Metro Nashville Public Schools shortly after the board's vote. Joseph came to Nashville after serving as the deputy superintendent for Prince George's County (Md.) Public Schools, one of the nation's 25 largest school districts. What did Joseph know about sexual harassment? ‘He was aware,’ assistant principal says.